Mary J Blige and Steve Stoute will be collaborating together on their new organization called FFAWN. FFAWN stands for Foundation For Advancement of Women Now. FFAWN is dedicated to empower women and help them reach their goals. With a focus on helping women reach their individual potential through scholarships, grants, and programs that foster strong self-esteem, career development and personal growth, while gaining the confidence and skills needed to achieve success. Aside from Blige, the board of directors will be Stoute, Kendu Issacs, Jada Pinkett Smith, Charles Wright, Lisa Price, and Smantha Fink. 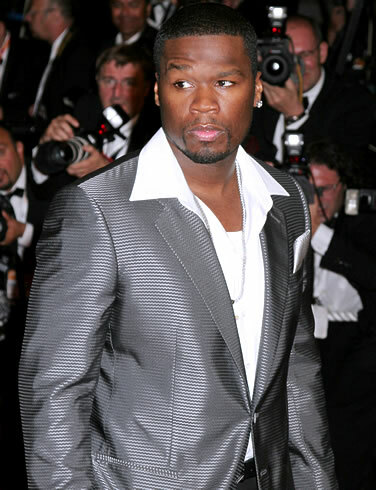 Curtis ’50 cent’ Jackson has just signed on with Steiner Sports, for a multi-year deal to sell a line of 50 Cent memorabilia. The line will consist of autographed photos, movie-related products and even concert-worn apparel, could be announced as soon as tomorrow. No word on how much he’s banking on this but I’m sure were in the double digit millions. Luxury car maker Mercedes-Benz has revamped their 2009 SL line. The 2009 models are in the TBA phase with pricing and specifications unavailable at the moment. Check out some photos in the gallery below. Diddy was recently awarded his star on the Hollywood Walk Of Fame on Friday (May 2nd). In the event of the this celebration, May 2, 2008, has been declared Sean Combs day in Hollywood.